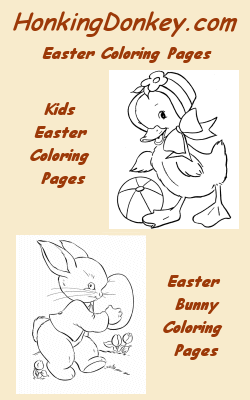 Fun and educational kids Easter coloring pages for boys and girls. Throughout the English-speaking world, many Easter traditions are similar with only minor differences. For example, Saturday is traditionally spent decorating Easter eggs and hunting for them with children on Sunday morning, by which time they have been mysteriously hidden all over the house and garden. Other traditions involve parents telling their children that eggs and other treats such as chocolate eggs or rabbits, and marshmallow chicks (Peeps), have been delivered by the Easter Bunny in an Easter basket, which children find waiting for them when they wake up. Many families observe the religious aspects of Easter by attending Sunday Mass or services in the morning and then participating in a feast or party in the afternoon. Some families have a traditional Sunday roast, often of either roast lamb or ham. Easter breads such as Simnel cake, a fruit cake with eleven marzipan balls representing the eleven faithful apostles, or nut breads such as potica are traditionally served. Hot cross buns, spiced buns with a cross on top, are traditionally associated with Good Friday, but today are often eaten well before and after. Easter coloring pages are a fun way to teach Pre-K thru early elementary kids about Easter traditions in a safe environment. We encourage teachers and care givers to print these Easter Coloring pages for their students and us them in many fun and creative ways! These Easter coloring pages are free for student and educational non-profit use and may be printed for your Easter coloring enjoyment! 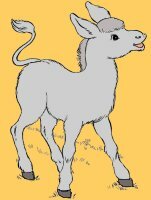 Easter Holiday Coloring pages are a fun way to learn about the our different holidays, and learn coloring and drawing too! Pin the image on the left to share our pages with your friends !